PALO ALTO, CA: HP is launching its largest global integrated marketing campaign for technologies within its Personal Systems Group (PSG), including its Beats Audio music technology and a TouchPad tablet. Dubbed “Everybody On,” the initiative is a new take on an old campaign that focused on the computer versus the user. The new initiative will tie together integrated marketing efforts for individual products with a message about user passion. Page Murray, VP of integrated marketing for HP's Personal Systems Group, said the investment in this campaign, especially in its PR and social media efforts, goes beyond that of the last PSG campaign. According to an old HP fact sheet, the company invested hundreds of millions of dollars in the initial “The Computer is Personal Again” campaign. He expects that the company will build on the campaign for at least the next five years. This week, the team, including PR agency Edelman, kicked off the campaign with “Digital Hub Introduction Videos” featuring Alicia Keys, IndyCar's Gil de Ferran, DoSomething.org's Aria Finger, fashion deisgner Mondo Guerra, and musician Jay Sean. The launch also entails digital banner ads and a series of TV ads slated to run this weekend. During the Grammy Awards, the company will integrate HP products in the broadcast, launch a commercial featuring Alicia Keys, and highlight its Beat technology at HP listening stations at Grammy after-parties. 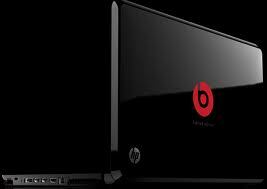 Editorial promotions during the event will also feature the new HP TouchPad and webOS technology. Following the kickoff, the campaign will focus on individual promotions for technologies related to music, sports, small businesses, and millennial-targeted cause efforts. For example, the company wants to target small businesses via PR and digital efforts, such as a video contest that encourages people to explain why they're the “most passionate business person in America.” Murray added the company could then replicate that concept, asking millennials to submit cause efforts incorporating the technology. Agencies supporting the advertising, PR, and social media programs include Edelman, Creature, Designkitchen, Goodby Silverstein & Partners, McCann Erickson, Omnicom Media Group, and Publicis. In July, HP finalized its acquisition of Palm, which owns the webOS technology and various smart phone product lines.